Diagnosing and treating matters of the heart have come a long way. While an electrocardiogram (ECG, see fig. 1) provides information about the functioning of this vital organ, implantable medical devices such as the pacemaker focus on cardiac rhythm management, and are used to treat irregular heart rhythms like bradycardia (beating too slow) or tachycardia (too fast). Today’s implantable devices provide therapy to treat numerous conditions. As with commercial portable products, they too share the need to reduce size, weight, and power. Thus, there is a growing need to design miniature Integrated Circuits (ICs) for electro-medical and electro-sensor applications. 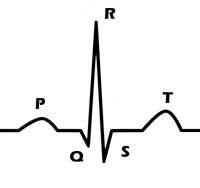 Figure-I Basic diagram for ECG. Subrahmanyam Boyapati, a research scholar with the IITB-Monash Research Academy, is working on a project to design precisely such ICs—with high Electro Magnetic Interference (EMI) immunity. The Academy is a Joint Venture between IIT Bombay and Monash University, and fosters research partnerships between Australia and India. Research is conducted by scholars like Subrahmanyam in both countries, whilst studying for a dually-badged PhD from both organisations. He is undertaking this project under the supervision of Prof Maryam Shojaei Baghini and Dr Jean-Michel Redoute, and is supported by the Prime Minister’s Fellowship Scheme for Doctoral Research, a joint initiative of CII and Science and Engineering Research Board (SERB), and Industry Partner Intel. You can’t blame Subrahmanyam’s heart for beating a little faster at this vote of confidence! Project title: Modeling and Design of Highly EMI-immune nano scale integrated OpAmp circuits for portable electromedical and electro-sensor applications.